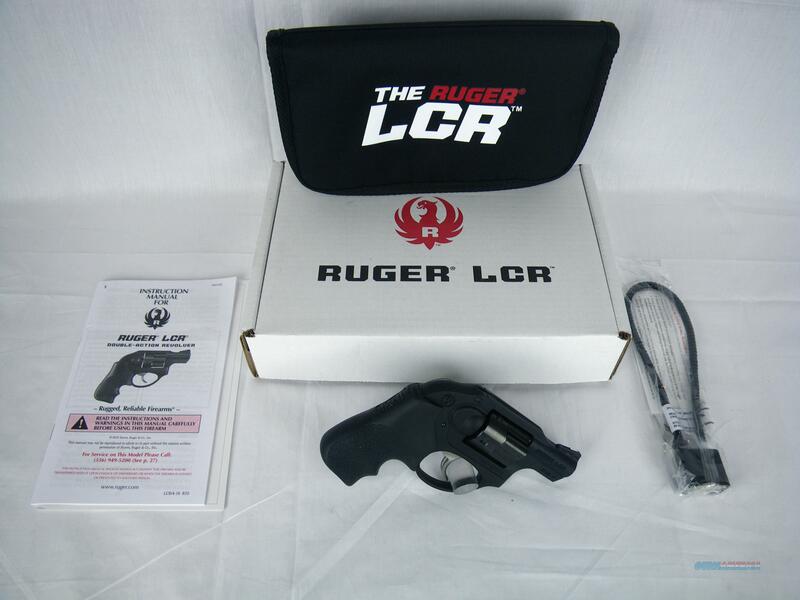 Description: You are bidding on a new Ruger LCR in 38 Special +P with a 1.87" barrel. This compact, lightweight and reliable revolver is an excellent choice for personal carry. The monolithic frame is made from aerospace-grade, 7000 series aluminum. A patented polymer fire control housing holds all the fire control components in their proper dimensional relationships, reducing weight significantly and helping to reduce recoil. Displayed images are stock photos. Any questions please feel free to ask (our phone number is in the additional information tab above).